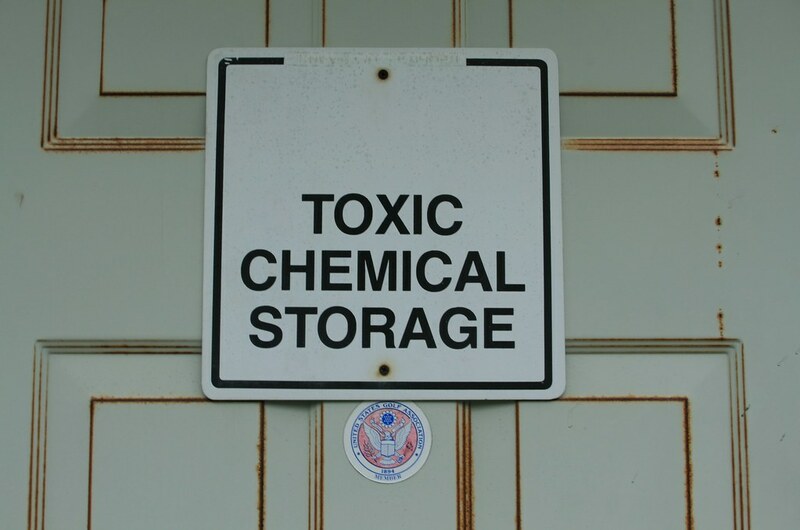 Apparently the golf course needed a large building in which to store toxic chemicals. Although, it is strange that the top half of the sign is blank. 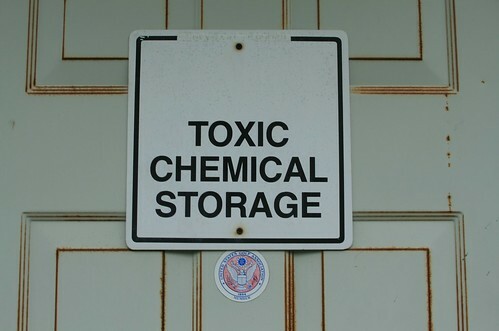 Perhaps there was a graphic of a skull and crossbones or "danger" symbol.